Leupold makes a wide range of thermal imaging products. Whether you are in law enforcement, part of a rescue team, or you are a hunting enthusiast, you’ll find high-quality products from the Leupold brand. Today, we focus on the hunting enthusiast who needs compact equipment for hunting or spotting targets in low-light environments or complete darkness. The Leupold LTO Tracker HD is the lightest model in the LTO series. It has some great features that will help give you an edge when you are hunting or spotting animals. This is a handheld thermal viewer which operates by detecting and interpreting heat signatures from objects. You can see game, blood trails, and other environmental features night or day. Unlike a night vision monocular daylight conditions will not harm the optics. But you might be wondering, what will you be doing with a handheld tracker if your not going to mount it on your rifle? A thermal imaging tracker can be very useful as you can carry it in your pocket and when needed use it to spot or track your targets. Thermal trackers are also typically less expensive than thermal imaging scopes making them a cheaper alternative if you do not need to take shots in complete darkness or from very far away. Leupold LTO is also an invaluable tool for home security purposes. The Leupold allows you to see what may be lurking in your backyard and alert you to potential dangers from trespassers or dangerous animals. This thermal viewer boasts a 390x390 resolution display. It can display images with high clarity and excellent contrast so that you can tell what you are looking at. This makes it easy to identify a target in little to no light environments. The LTO screen is not the biggest, however you can still tell what image it is displaying, whether it’s a tree, a person, a car, a boar, etc. This thermal imager runs at a 25Hz refresh rate meaning it refreshes the image 25 times per second. It produces images that are similar to real-world movement by eliminating any jerks or jumps which the human eye can up pick with lower refresh rates. This thermal imager also has a fixed reticle. The focus does not shift, but you can zoom up to 6X on the 1.22-inch screen which can be useful when you need a closer look at a far away object. The Leupold LTO Tracker HD comes with a super-sensitive (microbolometer) 320 x 240 infrared sensor. It can thermally detect objects from a distance of up to 750 yards (rated by manufacturer). Realistically, this viewer can identify objects from a distance of 150 yards when it is around 5o° F outside. This makes it easy for you as a hunter since you don’t need to be too close to an animal to take a shot. This viewer captures images and displays them in a wide field of view (24° FOV). This results in better detection of objects and even recognizing them at a further distance. It has three push buttons that sit on top of the monocular. The left button allows changing of the color palettes while the center button lets you zoom in and out. With the right button, you’ll be able to toggle on and off as needed. Leupold LTO Tracker HD comes with eight color palettes. You will be able to select from one of these colors simply through the push of a button. The color selection on this viewer includes; black, white, hi-white, hi-black, red, green, range and copper. This allows you to customize the display so that you can see heat signatures in the color you want. The 6x digital zoom on the LTO HD comes in very handy and allows you to zoom in on your targets making identification much easier. At 6x zoom the image is a little blurry but that is to be expected when magnifying the original image 6x times. Overall this is a great feature. This thermal viewer is only 5.8 inches long making it very compact. It is easy to fit into any hunting gear as it does not take up very much space. It also weighs less than 10 ounces meaning the weight won’t make a difference to the hunting equipment you’ll be carrying. You can comfortably hold it with one hand while scanning the surroundings. You have a device with an IP67 water resistance rating. The housing is completely protected from dust, and it can withstand immersion in water up to a depth of 1 meter without any damage. The Leupold LTO Tracker cannot withstand recoil from high caliber weapons though. Leupold says that this viewer failed their recoil test. As such, you should try not to mount it on high-caliber weapons. However, some users claim to have used it on weapons with a softer recoil like a 9mm pistol; it should be noted that this thermal monocular is not intended to be mounted to a gun of any caliber. One C123 battery powers the LTO Tracker HD which is enough for up to 3 hours of operation. This type of battery is quite useful since it is readily available and it is usable with other devices so you can easily replace them. Leupold LTO HD powers up in less than 4 seconds. It is also designed to automatically shut down after 15 minutes of inactivity. This saves you from a dead battery especially if you have to be out in the field for several hours. 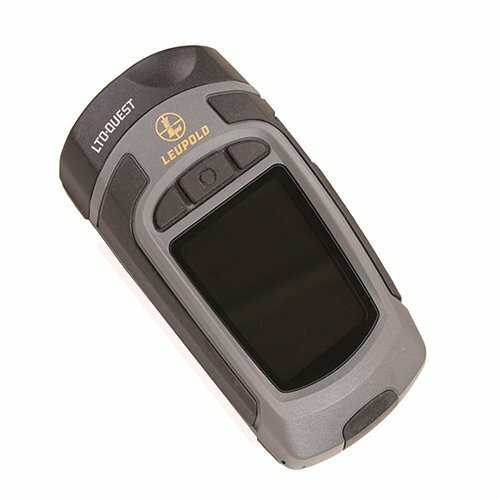 Your new Leupold LTO Tracker comes with the case and a spare battery. The case protects the device from impact if it falls. With the extra battery, you’ll know you always have a backup when needed. 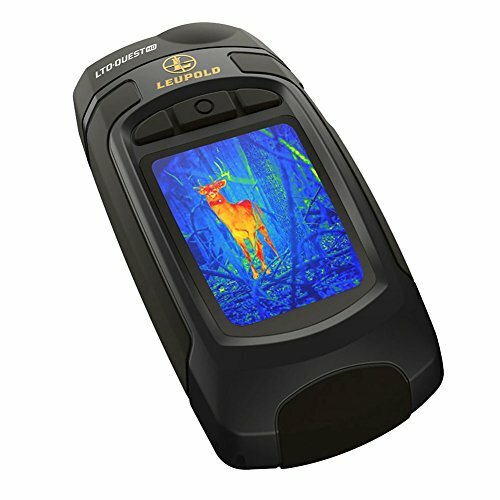 A 2 year limited warranty covers the Leupold LTO Tracker Thermal Viewer. It is quite incredible to have such a long warranty considering that some manufacturers are not willing to guarantee their products for more than one year. If there are any defects with the Leupold Tracker, the company will repair and even replace (if no fix is possible) the product. The FLIR Scout TK is an entry-level thermal monocular. It uses a USB rechargeable battery that can hold power for around 5 hours. It operates with excellence, but you can’t swap batteries so you’ll have to time your expeditions around the available power. Looking at the thermal sensor, the FLIR Scout TK (read review) uses FLIR’s VOx microbolometer. It can detect animals and objects over 100 yards. It is a very small model weighing only 6 ounces so it can easily go into your pockets or use a lanyard to hang on your neck. The FLIR Scout has a thermal resolution of 160 x 120 pixels; which is much lower than the LTO HD's 320x240 resolution. We like that it can record a 4-hour video and you can choose from nine video palettes. It is also durably constructed and impervious to direct water splashes. The Leupold LTO HD has a superior detection ranges of 750 yards which is much higher than the FLIR's 100. In addition, the LTO HD also has a 6X digital zoom that the FLIR Scout does not. While this zoom feature only zooms in on the current picture causing some pixelation at 6X zoom, it is a nice feature to have. One of the downsides of the FLIR Scout is its refresh rate of only 9Hz which means that it will be very difficult to track moving targets. The LTO HD has a higher refresh rate (25Hz vs 9Hz) which means it will be much easier to track targets without image blurring or tearing. The field of view on the Scout is 20° which is slightly smaller than LTO HDs 24°. While at first glance the Leupold LTO HD looks like traditional monocular however it is actually classified as a viewer. This means that it does not have an eye relief that you look through like the FLIR Scout. It has an Amoled display screen that you look at which shows the projected thermal image, this is a small but important difference. The Scout has a 5 hour battery life and the LTO HD has only a 3 hour battery life, but this is due to the higher thermal resolution sensor that draws a lot more power. Each of these thermal monoculars/viewers are considered entry level and as such they each have their own strengths and weaknesses. The FLIR Scout is going to be the cheapest option while the Leupold HD is the most expensive out of the two. As these are thermal imagers and not scopes none of them can be mounted on a rifle to use as a thermal scope as some other higher end thermal monoculars can be. Their main use is in spotting downed game in the dark or tracking animals. They also function well around the home if you are trying to see what is going on in your back yard at night. This is a powerful handheld camera, thermal imager, and a 300-lumen flashlight. 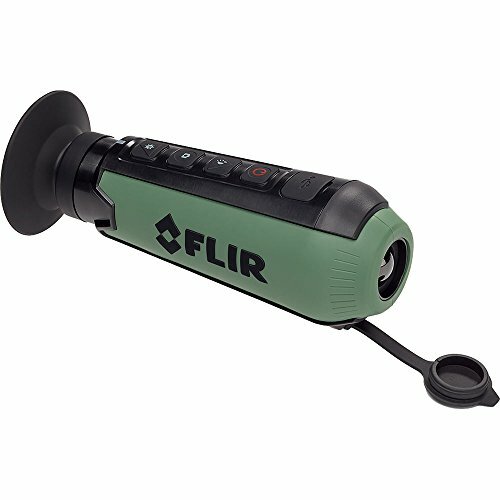 It allows you to capture and store thermal images. With a 15 Hz frame rate and 320 x 240 thermal resolution, Leupold LTO Quest HD can detect heat signatures up to 750 yards away. It is powered by a CR123 battery which provides up to 4 hours battery life. The LTO Quest is a camera, thermal imager, and 300-lumen flashlight. It can detect heat signatures up to 300 yards away. It is an excellent companion when tracking downed game thanks to the 206 x 156 pixels thermal sensor. Its battery life is similar to that of the LTO Quest HD at around 4 hours. When we compare the four models, we see why the Leupold LTO Quest is the most popular model in the Leupold LTO series. It has the longest battery life, a dependable thermal sensor, fast frame rate, and a reasonable detection range. The LTO Quest also gives you great value for the money as it can almost always be found for under $1,000. It’s no doubt that a thermal tracker is an invaluable tool for hunters. The Leupold LTO HD makes adventures memorable; and the new HD version is the clear winner from a price and features standpoint. It is an affordable handheld viewer that will be satisfying every minute you are using it. It is ultralight, durable, and best of all dependable. If you want a thermal viewer that you can take to the rugged back country or just in your backyard, you have it in the Leupold LTO Tracker HD.